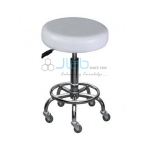 Jlab is renowned Doctor Chair and Stools Manufacturer, Doctor Chair and Stools Suppliers, Doctor Chair and Stools Exporter, Hospital Surgical Equipments, Doctor Chair and Stools India. Total comfort zone for the doctor. Comfortable, anti-static, poly-foam seat. 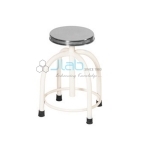 In-built gas cylinder for effective seat adjustment. 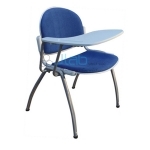 Ergonomically designed back for special support for higher body & back. 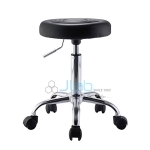 Chrome-plated, robust foot ring for leg support. Five-castor base for swish movements.